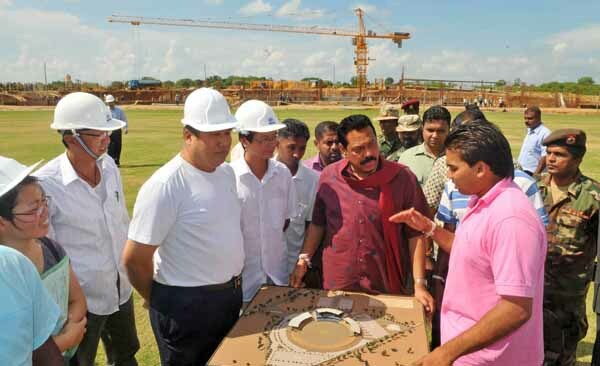 President Mahinda Rajapaksa along with his elder son and the Chairman of the Tharunyata Hetak movement Mr Namal Rajapaksa inspected the construction of the proposed International Cricket Stadium in Sooriyawewa at Hambantota district in the early hours of 09th April. The President is back on duty the day after the General Election and was seen talking to people in Hambantota yesterday. After casting his vote at the D.A. Rajapaksa Maha Vidyalaya in Medamulana, Weeraketiya, Hambantota, the President requested voters to give him a clear mandate and a solid majority in parliament, which is absolutely crucial for rapid development of the country through unwavering stability after eliminating terrorism. He further said to the reporters that he needs a strong government and it is the decision of the people of Sri Lanka on who should lead, develop and safeguard the nation. 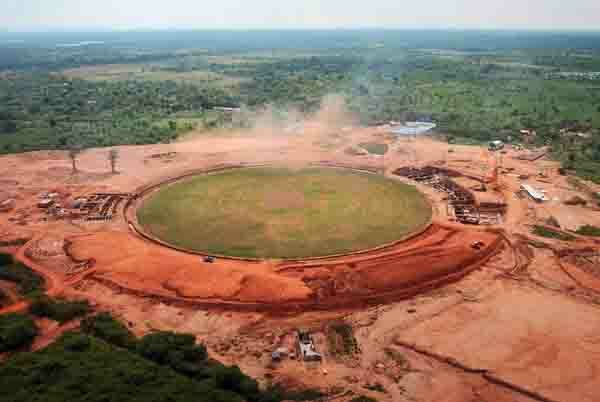 Chief Consultant and the Coordinator of the Hambantota International Cricket Stadium Colonel Chanaka Rathnayake also joined the inspection. Great….We and Our country need leaders like this…..!